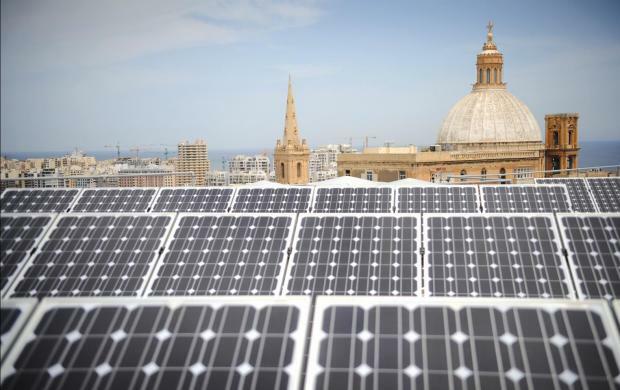 Malta has been steadily increasing its share of energy from renewable sources, but it is still one of the laggards in the EU. It only got 7.2% from these sources in 2017, the third lowest after Luxembourg (6.4%) and the Netherlands (6.6%). The EU as a whole has seen considerable improvement, with the percentage reaching 17.5% in 2017, up from 17% in 2016 and more than double the share in 2004 (8.5%), the first year for which the data are available. The EU's target is to obtain 20% of energy in gross final consumption of energy from renewable sources by 2020 and at least 32% by 2030. 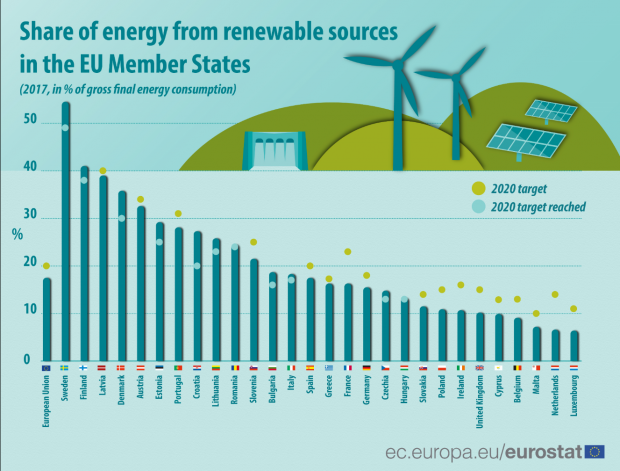 According to Eurostat, 11 member states have already achieved their national targets, which take into account the different starting points, renewable energy potential and economic performance. Malta’s target is 10% – still 2.8% from its 2017 percentage. Since 2004, the share of renewable sources in gross final consumption of energy grew significantly in all member states. Compared with 2016, it has increased in 19 of the 28 member states. Leading the pack is Sweden, which has more than half (54.5%) of its energy coming from renewable sources.